Earlier this year, in fact around the same I launched this site, Paul Sutton asked why the UK’s PR bloggers had gone quiet (or even disappeared). The next day Adam Parker delved a little deeper into who was still creating content and found that in the sixty days prior to his post only around 30 PR blogs – including those with multiple contributors – were having their content shared. For me, PR blogs are an invaluable source of information, shedding light on new trends, tools, news and discussions on all of those things. As such I tend to read quite a few and thought that (along the same lines as my post on book recommendations) I’d share some of the PR blogs that I think are of particular note and worth reading. PR Conversations – In this case multiple means multiple. Judy Gombita, Heather Yaxley and Markus Pirchner have done a great job with PR Conversations – which prides itself on fostering ‘informed discussion’ and by bringing ‘a wide variety of voices’ into the debate and ‘shining light on lesser known people’ it does just that. CIPR Influence – A great site from the CIPR with content created by a top editorial team as well as sourced from a host of top experts and commentators from within the PR industry as well as the wider marketing and business mix. Comms2point0 – Created by Dan Slee and Darren Caveney, this site really is as they describe it: ‘a resource to help comms professionals keep up to speed with all that’s interesting and new in the world of strategic and digital communications’, with advice, reviews and case studies and much more. PRCA Blog – As you might expect, this takes more of a look at the PR industry and how trends, current affairs, agendas and news affects both practitioners and organisations within it. There’s been some particularly good commentary here recently – notably about this year’s General Election and remuneration for PR interns. PR Examples – A brilliant site from Rich Leigh, that highlights PR stunts and campaigns of particular note from around the globe. It’s a great place to look at case studies for good work and best practice – if your work makes it on to the site (and you’ve not put it there) it’s probably safe to say you’ve done an alright job. PR Place – A new site backed by PR Academy and edited by Richard Bailey intended to be a forum for greater collaboration and knowledge sharing between public relations and communications practice and scholarship, exploring topics like career development and professionalism, and providing a resource to help practitioners become more effective, and assist with the completion of professional and academic assignments. Wadds – Stephen Waddington seems to have become something of a content machine recently. Stephen’s site has always been well worth reading but it seems to have found another gear of late – with more frequent posts and thoroughly engaging conversation topics. This is a great example of someone actually being a thought leader, and not just trying to ‘do thought leadership’. Norton’s Notes – Chris Norton’s personal blog is definitely worth a read if you’re interested in the digital and social media side of modern PR practice – it might be a bit quiet at the minute, but that’s only because Chris and his skills are in high demand with his agency expanding rapidly. Stuart Bruce – One of the first PR bloggers in the world and well-respected PR trainer and advisor, Stuart’s blog is a great resource with high-level commentary on the key issues affecting the PR industry and particularly with respect to digital communications and politics. Green Banana – Another PR blogger who’s been around since the early days, Heather Yaxley’s personal blog hones in on career and professional development as well as what’s happening in PR and public affairs. Though it’s less frequently updated than PR Conversations, it’s always a good idea to read its latest posts. All Things IC – Rachel Miller’s site focuses more specifically on internal communications but there’s such a lot of information on her site (I mean loads), and a lot of it applies to wider public relations too. There’s some really great resources, advice and research shared on All Things IC – so it should definitely be on your reading list. Sarah Hall Consulting – Sarah is a very highly regarded practitioner, and fervent champion for gender equality in the PR (and, of course, wider business) arena. Her blog is full of great content on best practice, leadership and professional development as well as updates on her work leading the way in delivering equal pay and treatment for women in business. Paul Sutton – Paul’s known not just for his questionable taste in shirts, but for his blog featuring top content on creativity in comms, social media, best practice and more recently on working as an independent consultant. If it isn’t already on your radar, this blog is a must read. Show Me Numbers – Adam Parker’s content is fascinating, both in its own right, and because it’s almost always driven by hard data. Adam’s ability to cut through complex issues and provide fact-based insight is just one of a number of good reasons to read this blog. His recent post on ‘the social media election’ is a brilliant example of his expertise in practice. Alex Singleton – Case studies, commentary and industry analysis – Alex’s blog is a great resource (just like his book) and the breadth of content makes it a worthwhile read irrespective of where you sit within the PR/public affairs/marketing spectrum. Michael White – A great site from Michael White, full of commentary on a wide range of topics – digital, social, public affairs – Michael’s also a prolific commenter and you’ll often see him sharing his valued thoughts and opinions across a number of sites in this list. Mark My Words – The many interesting thoughts of Mark Borkowski, consumer comms, politics, current affairs you name it. An interesting personal take on news and PR from a veteran communicator. Dan Slee – Social, digital and wider communications in the public sector, this blog from Dan Slee is worth your attention, though he’s now focusing more on comms2point0, this site provides some great insights into public sector comms – while making up a larger proportion of the industry than the private sector, the public sector tends to be less vocal about itself – there’s some great insight here and it shouldn’t be overlooked. Rich Leigh – Not strictly single author any more, but this blog from Rich Leigh in his latest venture is worth a look. Advice, commentary and updates on the progress of his new business make for very good reading. Sabguthrie – Scott Guthrie’s excellent blog is well worth reading for its commentary on the growth, evolution and rapid changes to the PR industry as well as sage advice on everything from creativity, through ethics, to professional development. MK – An award-winning blog from young PR prodigy Marcel Klebba. Marcel’s tips, guest posts, interviews, and reflections are well read in the the industry and well thought of by practitioners who have been around far longer. MK being named best UK PR blog by Vuelio in 2017 was a well deserved accolade. Neville Hobson – In this blog, the vastly experienced Neville Hobson (of Hobson and Holtz Report fame) analyses and discusses trends, behaviours and practices in digital communication to help you make informed decisions for the benefit of your people and your business. For Immediate Release – A weekly look at what’s new in tech, PR and the combination thereof – a firm favourite of many PR people with over 800 episodes now online. #FuturePRoof – A podcast from Sarah Hall and Stephen Waddington as part of the #FuturePRoof project a a series of books and community to remind practitioners of the inherent value of PR and to increase awareness of the role it plays in driving business success. The community continues to be great source of ideas/discussion in all its guises. CIPR C-Suite – Hosted by Russell Goldsmith, this latest innovation from the professional body’s social media panel is a very welcome addition, discussing a wide range of topical issues with a number of leaders in their respective fields. 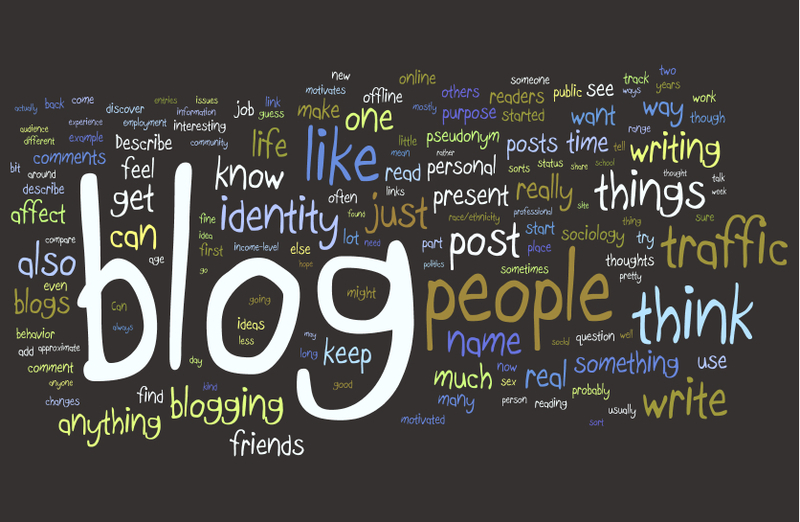 The Next Wave of PR Blogs? While they tend to be less established, there are a number of PR blogs from students that often make for good reading. Richard Bailey (academic and editor of PR Place) has been particularly effective in encouraging PR students to write online and runs a friendly competition (first at Behind The Spin, now at PR Place) to highlight the best posts from young PR and communications students. While this list is by no means exhaustive, and carries a certain amount of personal preference, if you feel there are any glaring omissions or oversights, do please let me know. Likewise, if you’re new to the PR blogging arena don’t be a stranger, send your links my way and I’ll make sure you’re in my Feedly stream.